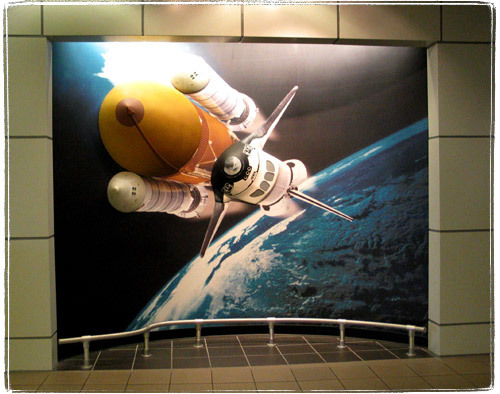 A ticket booth in Kennedy Space Center. It’s a great symbol of all government space programs. This obscene looking 3d mural greeted me in the airport. This is a great illustration for this proposed technology. 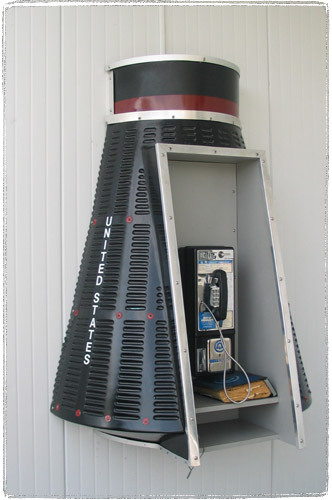 A phone booth in a shape of a Mercury landing module. Classy. 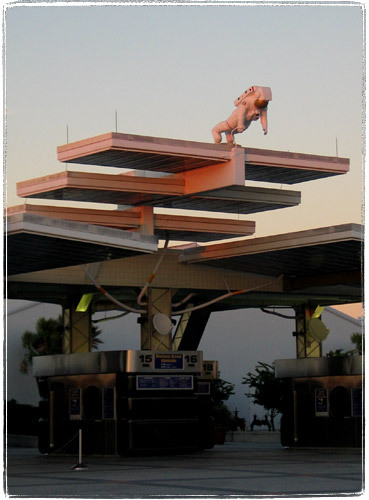 It’s awesome that I didn’t meet the mascot that I’ve seen on the KSC brochure. I would have kicked him in the nuts. Oh, did I mention that they piped horrible Christmas MuzakTM everywhere? Well, on the other hand I’ve seen some cool things there. But that’s for another post.